One of the most popular home renovations any Auckland homeowner can undertake is the bathroom renovation. Whether it’s a full gut out with brand new bathroom fixtures, floor and wall tiles and of course a super-sized toilet with an auto-closing lid or a just a minor facelift with new tiles and shower – whatever you decide to do, you are probably wondering how to start. A bathroom renovation – no matter the size – will generally involve a variety of tradesman pulling together to create a bathroom and managing all of them can seem like a daunting task. This article aims to help you understand the bathroom renovation process and give you an idea into what is involved in order to prepare you for the day the first hammer is banged. Before we begin, let’s look at some interesting bathroom facts that will convince you that a bathroom renovation is money very well spent. • On average, women spend 3.25 years of their life in their bathroom, while men spend only .75 years. – This stat is confirmed by the fact that we mainly deal with the lady in the house during bathroom remodels, following a design brief drawn out by her. • Bathroom Renovations are money well spent – guaranteed. – Even if you are renovating your bathroom to improve your quality of life. A bathroom renovation will increase the value of your home and upon sale of a house, up to 60% of your renovation budget will be returned due to the increase in your homes value. • The world’s most expensive bathroom costed $3.5 million to build. Luckily, for us mere mortals, a bathroom renovation will never cost as much. Just don’t use bathroom fixtures made out of pure gold and you’ll be okay! • Leaving the existing plumbing will help save money. By using the original positions and layout of your plumbing, you’ll be able to save money by not creating more work for the plumber to do. You can still design your dream bathroom around this so don’t consider this a hindrance. • 35% of people escape to the bathroom in order to think clearly. Isn’t it great that your bathroom renovation can not only improve your home value, your quality of life, but also your mental health? If you use your bathroom as a secluded oasis, why not make it the best you can. Before you even start calling up tradesmen and getting quotes, the first step you want to do in starting your bathroom renovation is deciding what you want and planning it out. Your tradesman will not know what to do if you yourself have no clear picture into what you want to achieve by renovating your bathroom. Even worse, telling a tradesman to do something and finding out after he has done it, that you didn’t want the changes he has made. Walk into your bathroom and make a list of things you don’t like, and things that you would like in your new dream bathroom. Is the window to small or in the wrong position? Would you prefer to have the shower where the vanity is and the toilet behind the door? How about a cavity slider? Here are a few things you might want in your bathroom and options to consider. • Fully Tiled Shower – Either with an Upstand or dropped floor for seamless entry. • Free-standing bathtub or get rid of it entirely in-lieu of a double shower. • Hung or free standing vanity. • Cavity sliding door instead of the traditional door. • Fully tiled to the ceiling or just tiled floor with skirtings. With a clear picture of what you want out of your bathroom, you can start the process of calling up tradesmen. Your first port of call would be a qualified builder. A good builder will take on the project management duties of your bathroom renovation and co-ordinate all the other trades to ensure your bathroom renovation will flow smoothly and everyone is kept happy. You may choose to project manage yourself but generally, we have found that homeowners that did this ended up slowing the whole process down and creating unnecessary problems that could have been avoided. 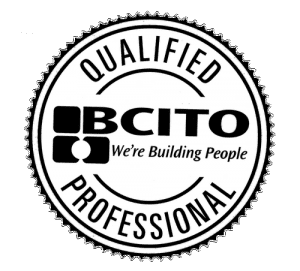 Another good part of using a quality builder is that they usually have a group of fellow tradesmen that they use for all their jobs. From plumbers, electricians, painters and of course tilers. With a team of tradies that have worked together in the past, you’ll be sure that your job will flow as smoothly as possible. Of course, you will probably know a tradie or two that you’d like to use on your job and you have the freedom of using them on your bathroom renovation as well. Just let the builder know before he starts calling his A-Team together. Finally, try to hire local builders/tradesman if possible as it will save you money on call-out fees and travel times. 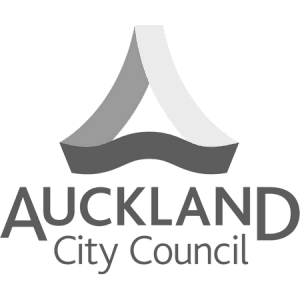 Shorter travel times for your tradesman will mean earlier start times, higher punctuality rates and you’ll be helping the terrible Auckland traffic problem in a small but significant way. In saying that, this is only a best-case scenario. I’m a West Auckland Tiler but every week sees me traveling all over Auckland, from the North Shore to the Bombays in South Auckland. Before you start with any work, be sure every trade knows what they are doing. If you have a specific design for your bathroom tiling or have a special shower fitting, be sure to let the tradesmen know before they begin work. I have had countless instances where the builder told me the layout of the tiles, only for the homeowner to call me later to say it’s all wrong. This just leads to anger, mistrust and a lot of wasted time and money. Be sure to communicate clearly what you would like or leave notes if you cannot meet the tradesmen in person. Also, if you are unsure about something, ask away! The beauty of working with professional bathroom remodelers is that we do this on a daily basis, we have done everything and seen everything. If you have a question, chances are we will know the answer. 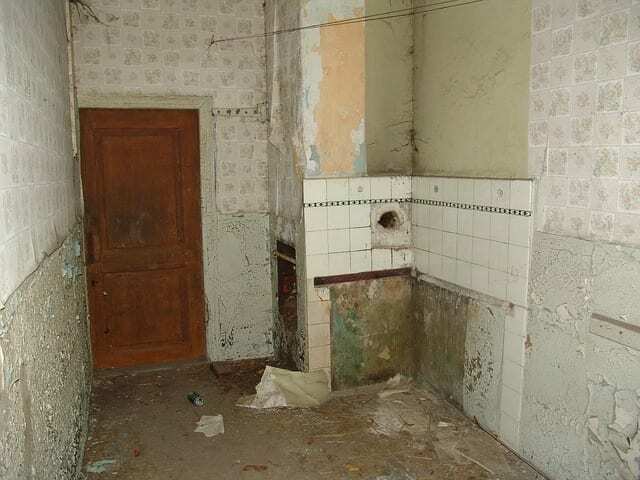 With a clear idea in how you want your bathroom to look and what features you’d like, it’s time the demolition begins. 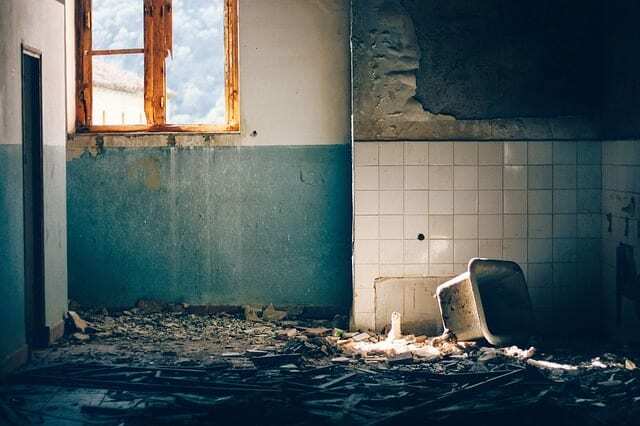 Even the smallest bathroom renovations involve some sort of demolition and if it’s a full on renovation, your builder will be tearing everything out. From the floor and wall tiles, toilet and shower, to the gib board and ceiling. If your floor is rotten due to a lack of interior waterproofing, your floor will be getting the hammer as well. Literally, everything will be stripped down to the joists and your bathroom will be rebuilt on the skeleton of the room. In my opinion, it’s the best and safest way to renovate your bathroom as a blank canvas will offer the best platform to do everything properly and allows all your design elements to be implemented. For example, a dropped floor shower will require joist work and even a simple niche in your shower will require building out a frame in the wall joists as well. Once the bathroom has been stripped, a plumber and electrician will be called in to so they can layout their cables and pipes and update whatever old fixtures they need to. After that, the builder can start relining the walls with new gib and plywood for the floor. If you are not tiling the walls, a gib stopper will be called in to stop the walls and ceiling in prep for painting. The floors will generally require tile underlay if your floor is wooden and this will either be done by your builder or tiler. The tiler will move in next and start waterproofing the shower, floor and bathtub area. Waterproofing is a commonly skipped step as people think the tiles will stop any water ingress behind the tile. While tiles will stop some water, they are never fully waterproof and water can enter behind them. Another factor to consider is that if anything happens, your home insurance will not pay out if there was no waterproofing done in your bathroom. Interior waterproofing is definitely one step you do not want to skip as the money you save today will be nothing in comparison to the cost of fixing water damage later on. If you are getting underfloor heating, then the installer will come in either before or after the waterproofing and lay the cables and pour self-leveling compound. With the prep work done, the tiler will now start tiling the bathroom. From tiling the shower, shower base and floors to your walls. This process can take anywhere from one day to a week, depending on the scale and difficulty of the design. After tiling, the grouting and sealing is done and your tiler is finished on your bathroom renovation. 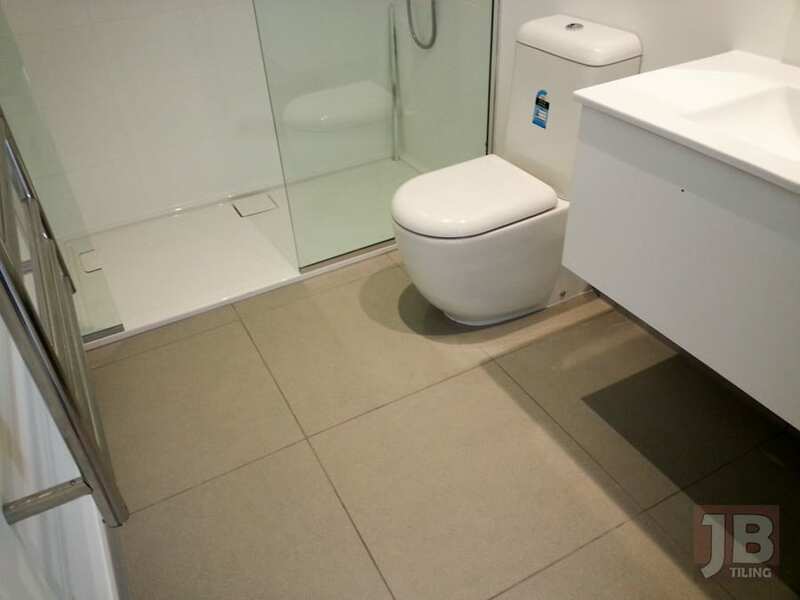 With the bathroom tiled, you’ll be happy to see how quickly the bathroom will now start coming together. The painter can move in to paint, the glass man can come in to install shower glass, the plumber can install all his fixtures and the electrician will complete his side of things. This part usually flows smoothly will every trade just coming in and adding the final pieces to the puzzle. It’s generally the tiler that can make or break a bathroom renovation as a lot of trades are waiting on him to finish the tiling so they can install their fixtures on his tiles. That’s why it’s important you deal with a professional and well organized tiler on your next bathroom renovation. Not to toot my own horn or anything but I often receive praise for my fast work by both tradesmen and homeowners. I understand how important a bathroom is and how many people I am holding up while I’m working, so the last thing I want to do is be a nuisance and drag my feet. With all the tiling done, fixtures installed and ceiling painted, your new bathroom is now complete. As long and tedious the process may have seemed, I bet it’s all worth it the first time you soak in your new tub or feel the hot spray of your shower upon your back. And don’t forget, while your tradesman was busy chipping away at your bathroom, the value of your home was jumping up with every hammer fall and tile installed. If you are thinking of renovating your bathroom, why not start thinking about the design now. Start getting a plan together and start imagining what your dream bathroom will look like. The hardest part of any bathroom remodel is starting and hopefully this article has helped you with that.